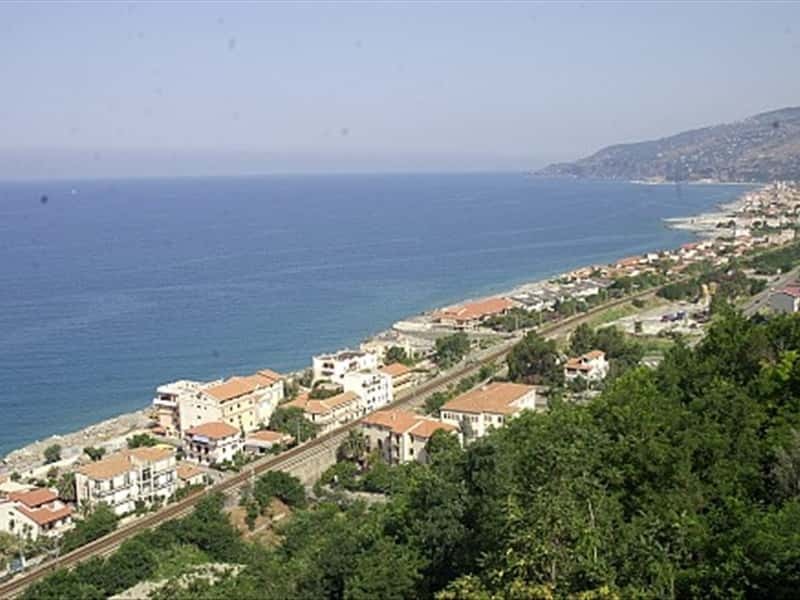 A seaside resort in the province of Cosenza, overlooking the Tyrrhenian Sea, Acquappesa has relatively recent origins, dating back to about 1700, when it was founded, a small village in Calabria Citeriore, commonly called "casali" (farmhouses). Bordered at North by the river Fiumicello and at South by the river Bagni, it is well known for its beautiful beaches and reefs full of marine vegetation, for the Terme Luigiane, among the oldest thermal baths in the region and very popular in Europe, located at the feet of the fortress, rocca del Diavolo. Even though Acquappesa has only recent origins and no particular historical traditions, it is certain that the hilly inland area was conquered by Greeks, as revealed some findings, such as bronze objects of the IV-III centuries B.C., unearthed in the area. Interesting are the Church of Santa Teresa, with its beautiful stained glass window, artwork of the artist Cesare Bacelli, and the district of Intavolata, famous for its murals and the portals in tuff stone of the palaces De Caro and De Seta, both realized by master craftsmen of Fuscaldo (XVIII century). This town web page has been visited 20,599 times.